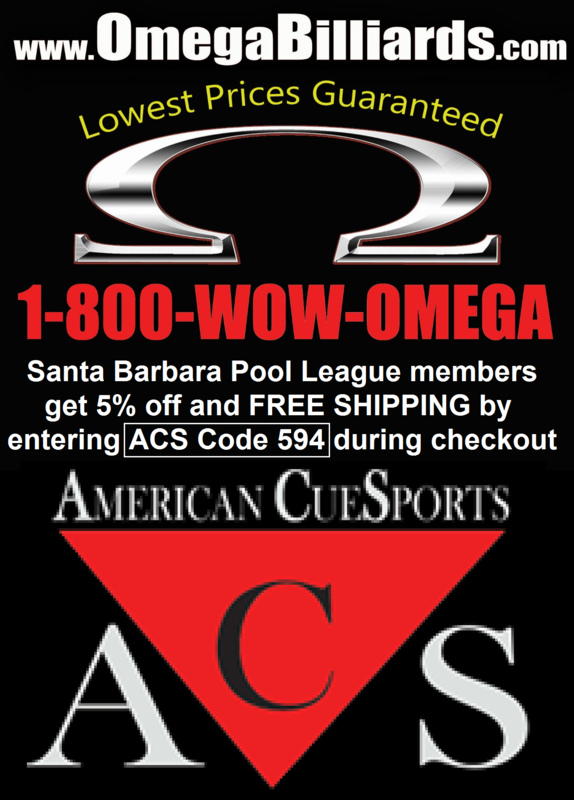 Want to join the Greatest Pool League in the World?? 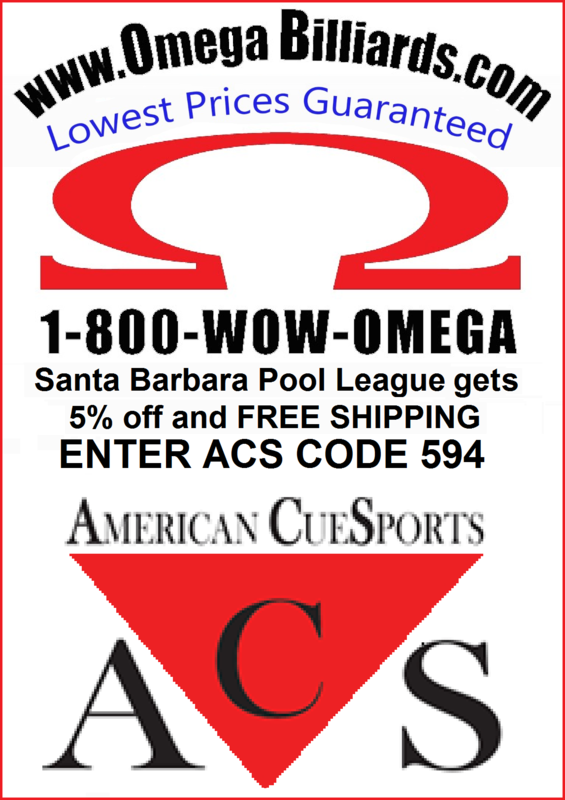 The Santa Barbara Pool League is a non-profit, Tuesday night, traveling 8-ball league. Five-player teams are sponsored by bars and pool halls in Santa Barbara, Goleta, and Carpinteria. Matches start at 7:00 pm every Tuesday. 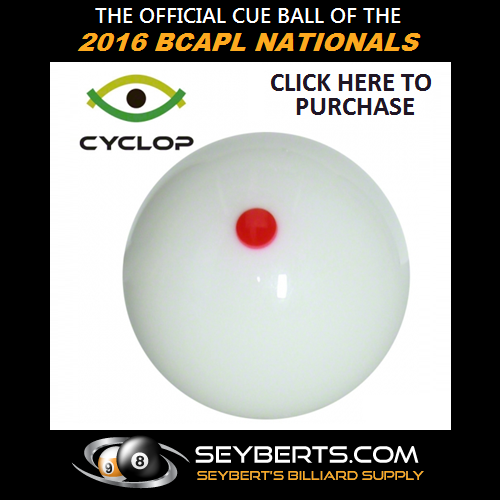 All games are played on bar-sized tables (3.5 x 7 ft) and use slightly modified BCA Pool League 8-ball rules. There are two seasons, Winter and Summer. The six-month Winter season is twice as long as the Summer season. The Winter season starts in October and ends in April. The Summer season starts in June and ends in August. Team registration occurs approx. two weeks before each season starts. At the team registration there is FREE FOOD for everyone, and there is a FREE kick-off tournament for all league members immediately following registration. Every team has a team captain who is responsible for collecting weekly fees and ensuring rules compliance. In addition to the five team players, captains should have a list of substitutes available. The weekly fee is $10 per player. The sponsor fee is $50 per team per season. During the Winter season, players must pay a yearly $15 BCA Pool League membership fee. Every BCA Pool League member receive a patch, a membership card, and rules handbook. There is no membership fee during the summer season. 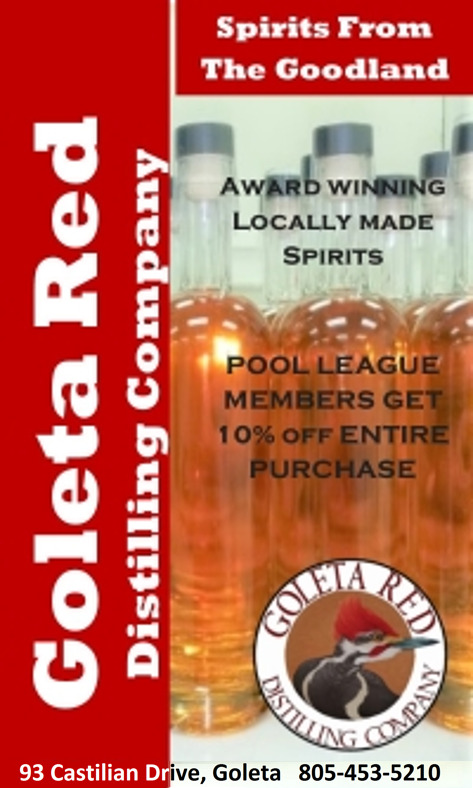 All league members also receive one free drink per league night, as long as you have purchased one of the same earlier in the night. This buy-one-get-one-free "Beer Frame" policy is a privilege extended to the league by our generous sponsors. At the start of each season, teams are randomly split into divisions. Teams play matches against other teams from within their division. Generally, teams will play every team in their division once during the Summer season and twice during the Winter season. Each match has 15 games. Each team member plays three games per night against different opponents. 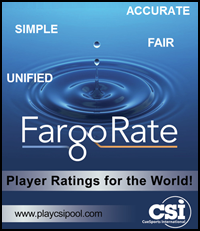 Players earn points for winning games and bonus points for table runs. The top players in point total at the end of the season receive a cash payout and qualify for the season-ending All-Star tournament for more cash prizes. Players that do not qualify for the All-Stars can still compete in Best-of-the-Rest tournaments for cash prizes, and the top players can qualify to play in the All-Star tournament. Over $35,000 in cash prizes are awarded yearly!! Every season, trophies are awarded to the top teams and top players in the division and on each team. Trophies and cash prizes are awarded at the end-of-season BBQ (summer) or Banquet (winter). The BBQ and Banquet are free for all league members. The BCA Pool League holds their annual BCA National 8-Ball Championships in July in Las Vegas. Every player and team in the league is eligible to compete in the team, singles, and scotch doubles tournaments. Players are responsible for all tournament entry fees This prestigious event is currently held at the Rio All-Suite Hotel and Casino on over 300 bar-sized tables. Come join our family!! 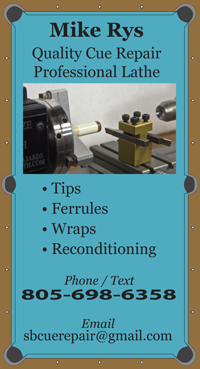 Contact your local billiards establishment to see about starting or joining a team. 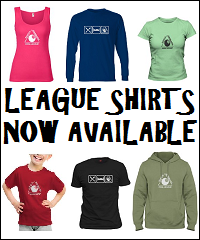 You may also call or e-mail the league and we'll do our best to get you playing. 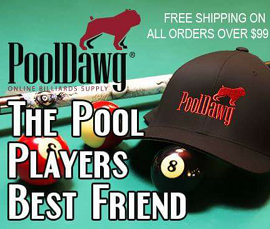 Teams are in constant need of replacement or substitute players, so contact us NOW and you too can be part of the greatest pool league in the world TODAY! !